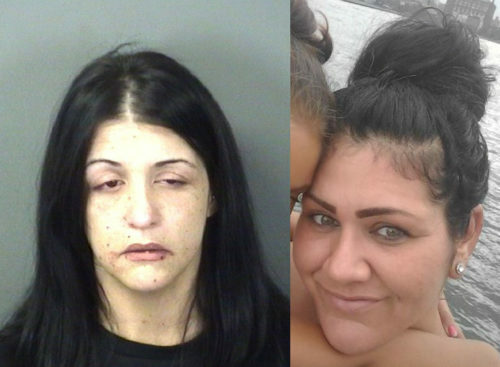 PROSECUTORS: Alleged Lyft murder accomplice organized the robbery 'by her own admission' | Homicide Watch Trenton | Mark every death. Remember every victim. Follow every case. One of the alleged female accomplices in last month’s grimy robbery-plot-turned-murder of Amber Dudley had her $1 million bail cut in half Tuesday while the triggerman remains at large. Dominique Richter, 31, of Hamilton, attended her bail hearing via remote video conference Tuesday morning and was inching to make a statement, asking, “May I say something?” but she ultimately heeded the advice of her attorney Raymond C. Staub, who advised her to remain silent. Dudley, a 27-year-old from Collingswood, was one of three passengers inside a taxi-style vehicle on the night of Nov. 30 as a man armed with a handgun tried to enter the rear of the vehicle on Mechanics Avenue in the city’s East Trenton neighborhood. Officials say the suspect tried to rob the occupants of the car, which sparked a struggle between him and the passengers. Dudley was shot in the chest while being driven by a man providing rides through Lyft, which is a peer-to-peer ridesharing service similar to Uber. As the gunman engaged in a tussle with the passengers of the vehicle, the Lyft driver sped away and the gunman fired a shot, officials said. Police arrested Richter last Wednesday in connection with Dudley’s homicide, held her on $1 million cash bail and charged her as an accomplice with first-degree felony murder, first-degree robbery and weapons offenses. Richter apparently gave a statement to authorities sometime between her arrest and Tuesday without having her attorney Ray Staub present. Grillo at Tuesday’s bail hearing said prosecutors have found “inconsistencies” in Richter’s statement to authorities and that prosecutors have reviewed phone records and talked with individuals who were in the car with Dudley when she was shot. Richter’s Hamilton-based defense attorney said he had not had a chance to speak one-on-one with his client or to review her statements but called the $1 million bail “excessive” and asked for a reduced bond. In making his argument, Staub said Richter is the mother of a 4-year-old child and declared his client “is not going anywhere,” suggesting Richter was not a flight risk. Staub also said Richter’s fiancé and father were both seated in the courtroom during the bail hearing in support of their loved one. Although Richter faces serious charges as an alleged accomplice to the murder of Amber Dudley, Judge Brown lowered her bail to $500,000 cash or bond. Staub afterward told The Trentonian he is “glad” the judge reduced the bail. Grillo said he had no comment on the judge denying his request to maintain Richter’s bail at $1 million. Another alleged accomplice in Dudley’s murder, Kasey DeZolt, 32, of Morrisville, Pa., was arrested last Thursday and charged with the same offenses as Richter. DeZolt did not have a bail hearing scheduled for Tuesday. Police still have not announced an arrest of the gunman who had fired the shot that killed Dudley. Prosecutors identified the suspected gunman as Andrew Alston and confirmed he remained at large as of Tuesday morning.